At the heart of the community in Caterham since 1911. With three large halls, for hire, it is the perfect venue for almost every possible activity from Keep Fit and Zumba to Concerts, Choirs, Meetings, Weddings, Christening and Parties. Our ultimate goal is to ensure that you have the Wedding Day of your dreams and that the journey there is one of smooth and effortless enjoyment! A wide variety of groups use our halls: from fitness and yoga groups, through fencing, to local interest groups, and the University of the third age. We have regular Comedy Nights and Rhythm and Blues nights as well as all sorts of other entertainments, and activities such as our very popular annual beer festival. Click headings to read the full articles. 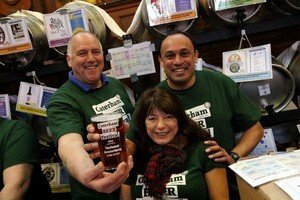 Once again the Soper Hall is proud to be hosting the 6th annual Caterham Beer Festival in conjuction with Caterham Round Table – Friday 16th – Saturday 17th November. Enjoy over 50 Real Ales, Ciders and Prosecco! Membership is available to all for just £10 +VAT. This gives the member various benefits including a say in determining how the company is run, and enables a vote for meetings and election of directors. We are very proud of all our hirers, who do so much to enhance the lives of local people. Here are just a few of them. Our summer workshops train performers in singing, dancing and drama in a fun, creative environment. We provide a full 5 day workshop programme, working on sequences from several different musicals, training performers to a high standard. There is a performance on the Friday for family and friends. 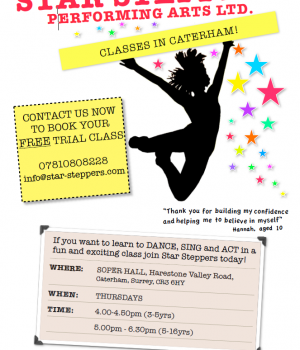 Learn to dance, sing and act in a fun and exciting class. House of Stand Up are delighted to be presenting their very own brand of live comedy on the first Friday of the month at this historic venue in the heart of Caterham.